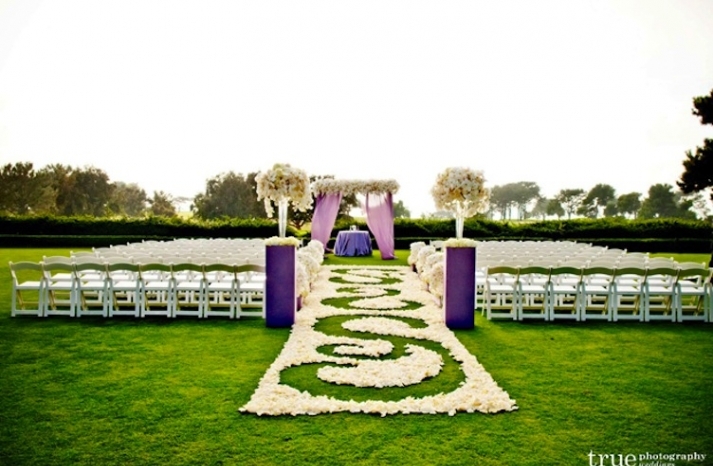 Aisle decorations at your wedding create the most impact if they are done well. Elements of luxury and natural beauty will set your day apart in the mind of your family and guests. Here are few inspiring photos combined with rules to follow for creating the most stunning aisle decorations. Go bold! Create drama with risers, and draping in your wedding color. 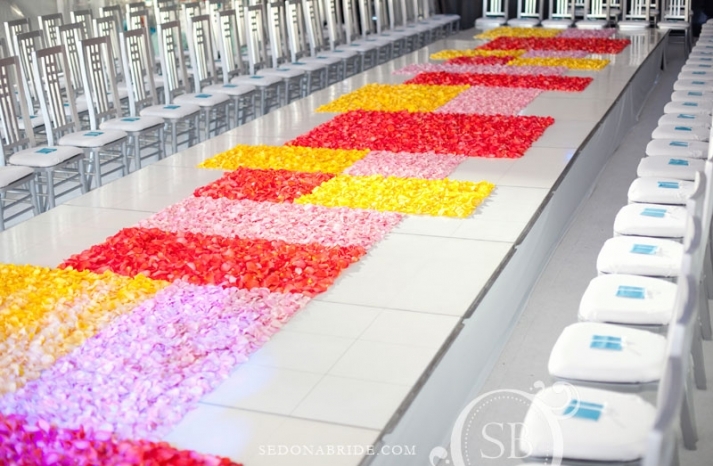 Then block the aisle with a graphic reverse scroll using masses of rose petals. The rule is to draw the eye toward the altar. Made certain you CENTER your altar. This setup would have been perfect had the altar been placed dead center. Color blocking is unexpected, unique and striking. Your guests will be left wondering how your floral designer got those petals to stay in the blocks. They will want to reach out and touch them to see if they are real. The rule here is to give them something totally unique. 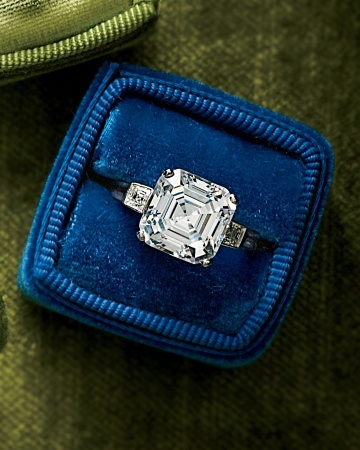 Make certain it reflects your theme and your personality. 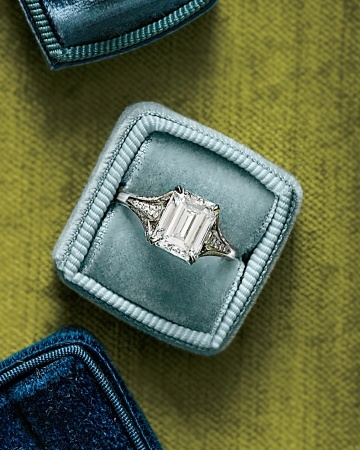 Give your guests a lot to look at, but don’t overwhelm them. 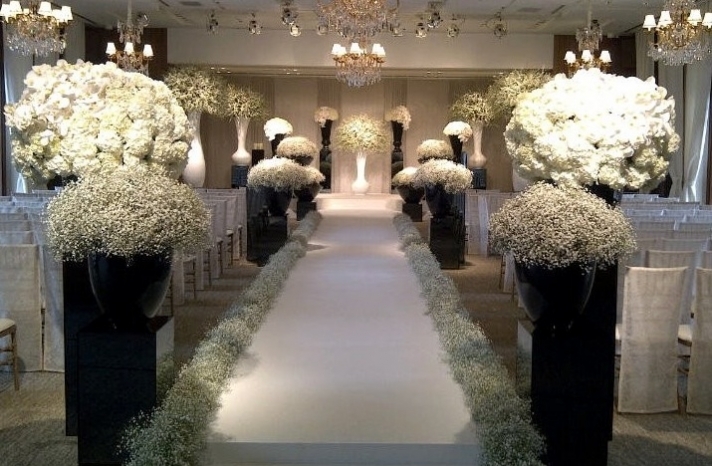 This aisle begins in a monochromatic hue, and changes as you ascend the aisle. The color changes into a more golden glow. Introduce that element early on, like they did here with the candle light. 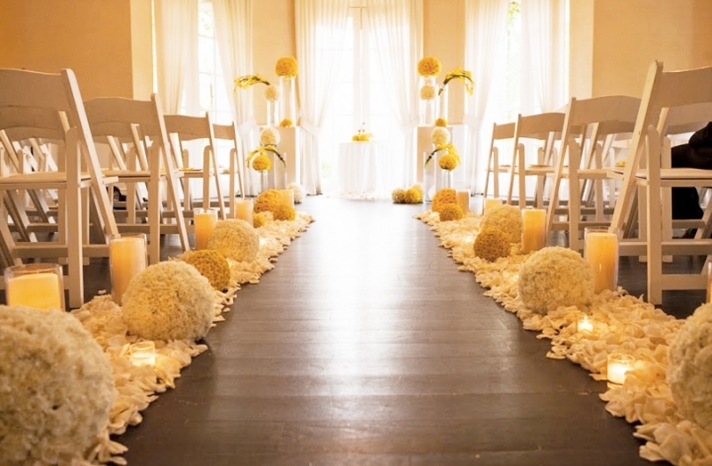 Then end with a bang by bringing the golden tones to the eye at the altar. 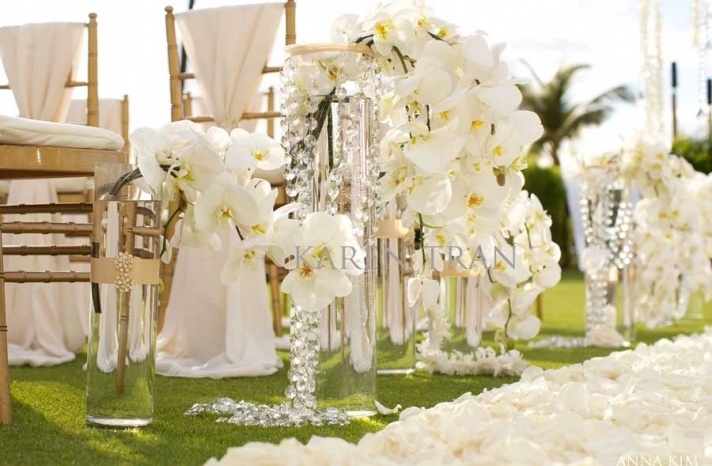 A dramatic aisle can be easy if you invest in one stunning floral, like these Phaeleonopsis Orchids. 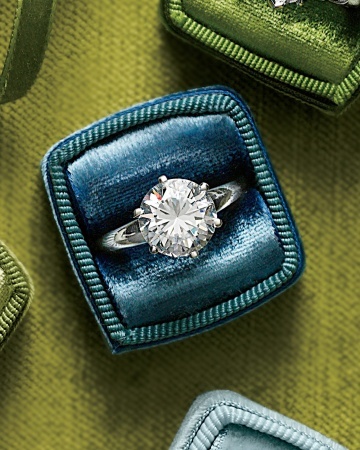 Combine them with an element sparkle and whimsy for a truly luxurious statement. This rule is universal. Create stunning drama by massing similar types of flowers in containers that mirror your theme. This setup feels lush and contemporary at the same time. It also masks the chairs a bit in your ceremony photos. Creating a unique luxury themed ceremony aisle is one of the ways to wow your guests, and entice their visual pallets. What do you like about these? Tell us in the comments below. 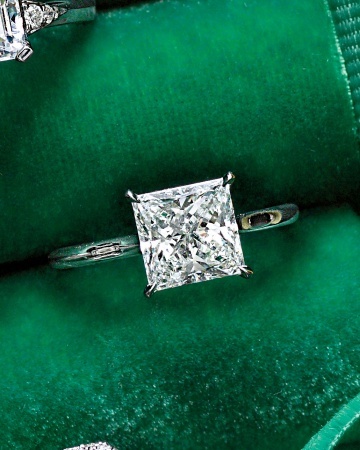 We decided that because today was a little dreary, to create a post about something sparkly. 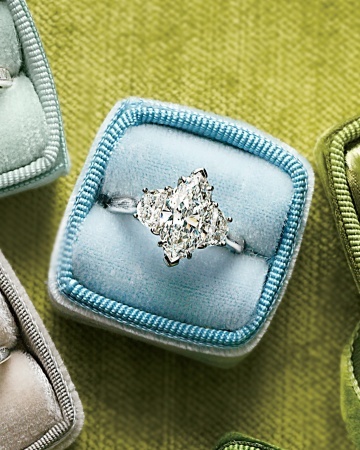 Here are five fantastic engagement rings that are sure to earn him brownie points and keep your girlfriends swooning!